Having now completed our 11th firing I feel like we’ve arrived at a process that works well for us. Instead of doing everything in one four day weekend, we’ve spread the tasks out a bit. One weekend I glaze everything I think will fit in the kiln and then some. The following Friday is spent wadding the pots and loading the kiln. 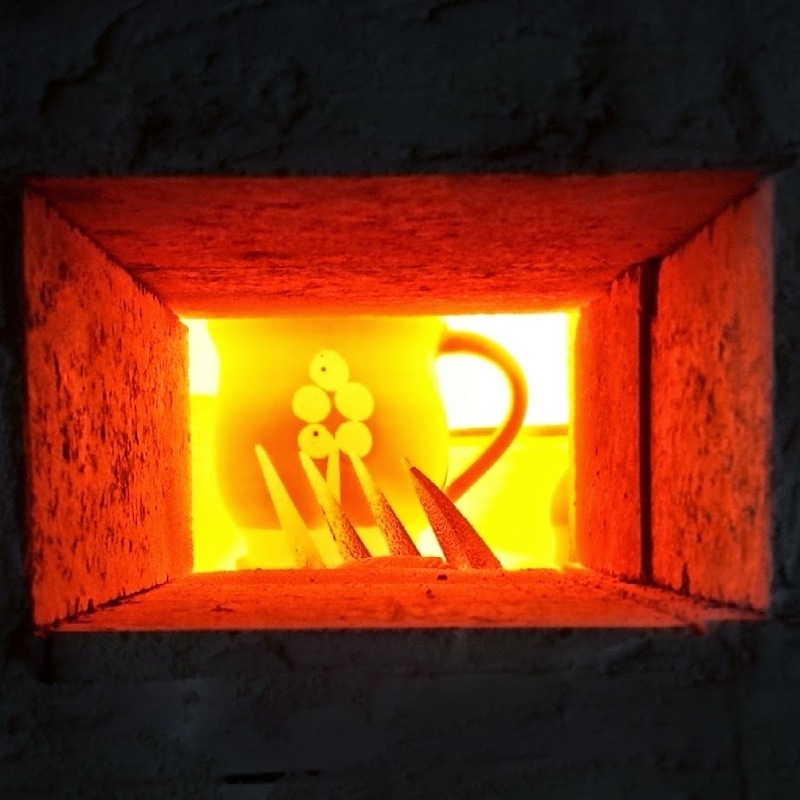 Then after a good nights sleep, Saturday morning the kiln is lit and we fire into mid-day Sunday. The weekend after that we unload. It’s a lot of work but so worth it. Today, I’ll be loading a glaze load in the electric kiln to get one more load done for the the Bluff Country Studio Art Tour next weekend. I’m a potter, it’s what we do – always have one more load to get done before something. Peeking in the wood kiln will begin on Wednesday and it will be unloaded on Saturday evening during our kiln opening party.